It's time for a cover reveal! Feast your eyes on the cover for Five Out of the Pit by Holli Anderson. 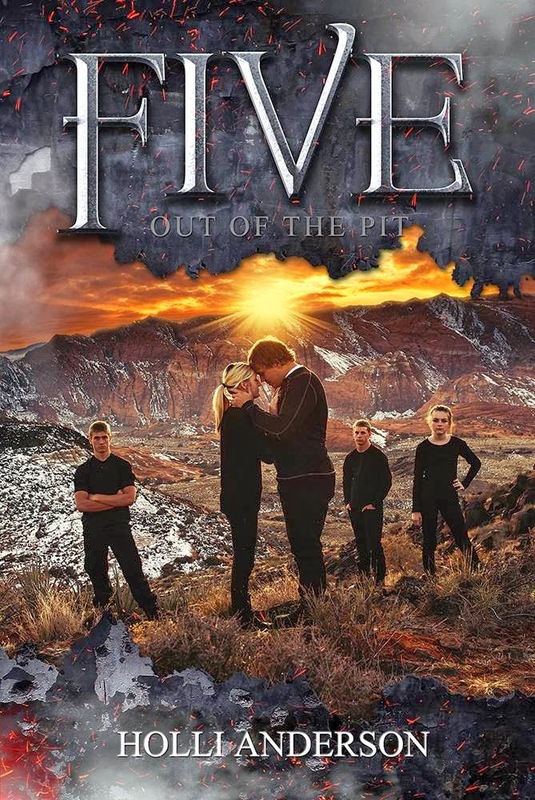 Five Out of the Pit (Five #2) by Holli Anderson. The Five find their way to Moab, Utah where, before they’re even settled in, evil finds them. As Paige fights to keep from succumbing to the pull of an Incubus that has her marked as his next conquest, Johnathan seeks to find a way to rid her of a curse she willingly accepted in order to save him. A surprising revelation initiates a long-awaited, yet unexpected, reunion for Alec who discovers a new magical talent he possesses. The FIVE, along with their mentor, Joe, must figure out what was meant by the last words of a Demon as it was sent back to the Netherworld—a promise of Gathering darkness—and stop the evil before it’s unleashed on the small town of Moab. And, the world. What do you think of the cover? Love it, hate it? Let us know in the comments (we love comments! ).